If you are a serious forex trader, then you must choose the right platform to gain from your trading. Choose this honest, lot of award winning forex broker for your trading. HotForex is an Award Winning forex and commodities broker, providing trading services and facilities to both retail and institutional clients. 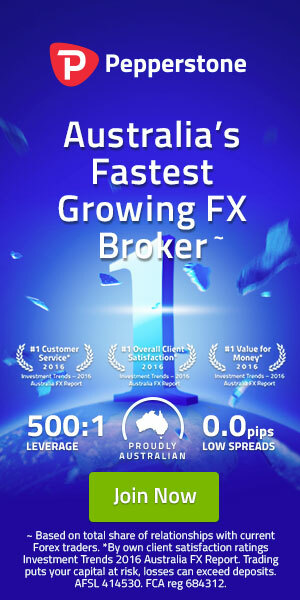 Through its policy of providing the best possible trading conditions to its clients and allowing both scalpers and traders using expert advisors unrestricted access to its liquidity, HotForex has positioned itself as the forex broker of choice for traders worldwide. They offer various accounts, trading software and trading tools for Forex trade and Commodities for individuals, fund managers and institutional customers. Retail, IB and White Label Clients have the opportunity to access interbank spreads and liquidity via state of the art automated trading platforms. HF Markets Europe Ltd. is authorized and regulated by the Cyprus Securities Exchange Commission (License Number 183/12) and holds a cross-border license, authorizing the company to provide investment services internationally. The Cyprus Securities and Exchange Commission (CySEC) is the supervisory and regulatory authority for Investment Services firms in Cyprus and is a member of the Committee of the European Securities and Markets Authority (ESMA). The company has managed to position itself as the “Forex broker of choice” for traders worldwide in a short span of time since their foundation in 2010. Credit/Debit Card, Neteller, Skrill (Moneybookers), Webmoney, Bank Wire, CashU, FasaPay etc. Hotforex offers charge free funding facilities, also they covered Bank wire transfer too. Choose the right option to funding and withdrawal, keep secured your investment and enjoy your forex trading. Two types of bonus programs are available : Supper Charged Bonus & Credit Bonus. HotForex is a brand that encompasses both the HF Markets Ltd. and HF Markets (Europe) Ltd. entities. Under the unifying brand name of HotForex, clients of HF Markets (Europe) Ltd. are now eligible to partake in all existing trading competitions and contests in accordance with the relative Terms as found on the dedicated competition page(s) of HotForex website. Hot Forex offered varieties type of account for all type of traders. Minimum deposit is only $5. You can choose variable spread account, fixed spread account, swap free account, zero spread account etc. See in the image which type of Accounts are available for your live trading. Every trader should select a good and trustable broker. I recommend you to choose this multi award winning broker for your live trading and investment safety. You can select your account with lot of facilities and can apply any strategy i.e. scalping, hedging, any EA. Welcome to be a part of HotForex and wish you Happy Trading. Trading with them for more than two years now and so far i have earned good profits that now i am completely trading on these profits earned through them. I also have referred many friends to this broker who are also happy so far. They have a good set of services and i am purely satisfied up till now. I am trading with this broker for the past 6 – 7 months now, trading is an art and I have learned the whole trading with the help of utilizing the free webinars offered by them. The trading platform is also good with user friendly trade execution, low spreads and timely withdrawals too. If I sum up my entire hotforex experience, i will simply rate them the best broker and would also recommend them as they really worth giving up a try.